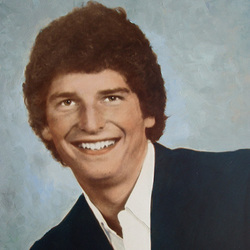 Bernie Kosar was instrumental in the University of Miami becoming known as "Quarterback U ". Kosar threw for 5,971 yards and 40 touchdowns as quarterback in 1983 and 1984. He is best remembered for leading Miami to its first national championship as a redshirt freshman in 1983. Kosar was named MVP for his 300-yard passing performance in the Hurricanes 31-30 victory over the Nebraska Cornhuskers in the 1984 Orange Bowl Classic. Although Kosar only played two seasons, he left UM holding school records for career passes completed, passing yards, total offense and touchdown passes thrown, all since eclipsed, but still holds the record for career passing completion percentage. In 1984, he was a first team CoSIDA Academic All-American. Kosar was a first-round NFL supplemental draft pick of the Cleveland Browns, a team he spent nine seasons with. He finished his NFL career with 23,301 yards and 124 touchdowns. In 1993, he was a member of the Super Bowl XXVIII champion Dallas Cowboys, and ended his career with the Miami Dolphins. In 1994, he was named the University of Miami Alumnus of Distinction. He was inducted into the UM Sports Hall of Fame in 1995, and in 1998, he joined the GTE/CoSIDA Academic All-America Hall of Fame. Bernie was inducted into the UM Football Ring of Honor in 1999.